My Cause & Connection: I earned it to help raise awareness for brain cancer research. I decided to set up a performance-based fundraising campaign because I am a brain cancer survivor, and I wanted to raise money for my favorite charity, Accelerate Brain Cancer Cure. My Competition: I earned it by completing seven marathons on all seven continents in seven consecutive days. In total, I ran 183.4 miles! My Contribution (respults): I raised $74,668 for brain cancer research from 340 supporters. In addition, I created more than 9,000 engagements on social media about my fundraising campaign. 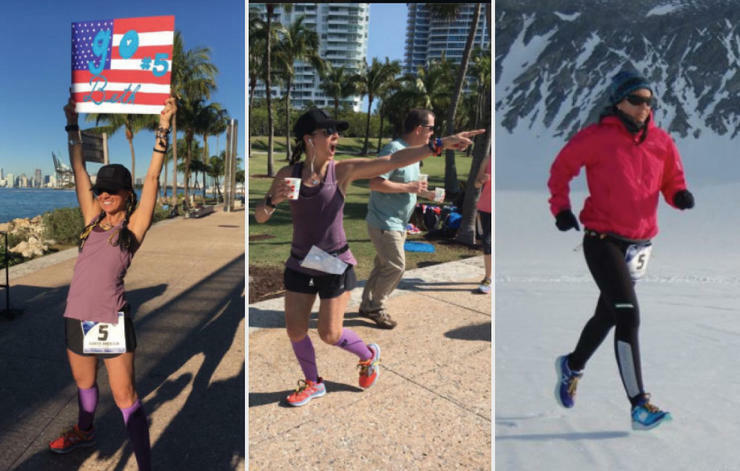 BethAnn completed seven marathons on all seven continents in seven consecutive days. Her World Marathon Challenge fundraising campaign raised $74,668 for Accelerate Brain Cancer Cure. 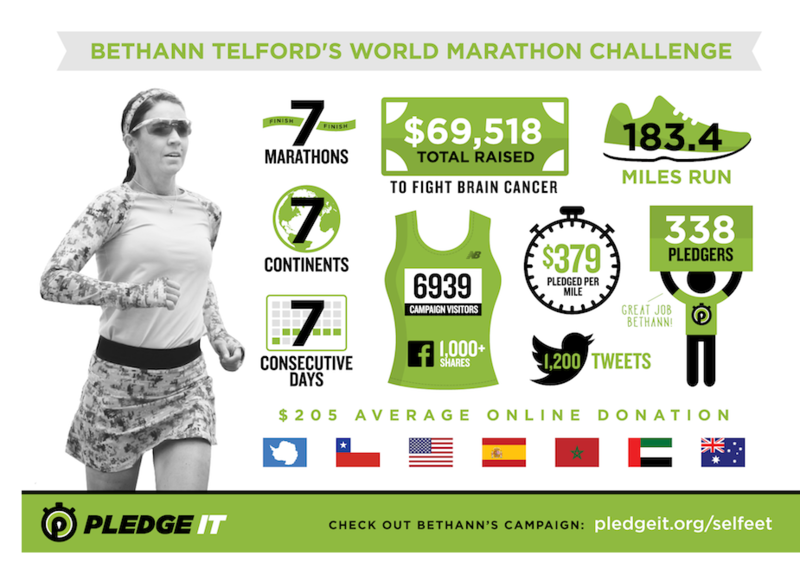 Our team conducted an interview with BethAnn to learn more about her fundraising efforts, and why she decided to earn donations by running around the world! Why did you choose a performance-based fundraiser? What made performance-based fundraising so appealing was the ability to earn everyone’s donations and to allow them to actively participate in the event. By allowing them to participate and track my progress, the donors were more engaged from the moment they made a pledge, through the build-up to the event, and finally through to the finish line. This allowed ABC2 to engage donors and potentially new donors over a period of several months, not just as a single donation over a short period of a few minutes. One of the main purposes for ABC2 and the event was to help raise awareness for brain cancer research and Pledge It had a significant impact raising and maintaining awareness. It was definitely a motivating factor along with the many pediatric brain cancer children that provided inspiration for my epic journey. It was especially nice to see the Pledge It donation numbers increase with each mile I completed. There are many, many good-hearted people that wish to make a difference in the world. Help them learn of your cause and feel a part of your efforts by using Pledge It. It will provide them a way to give to others and provide inspiration for you along the way!